There are a lot of sources from which we can derive self-confidence. Paying attention to our appearance and health; excelling at work or in business; being the best daughter, sister, mother, friend we can be; volunteering in the community; mastering a skill or hobby like art, dance, cooking or sports. These are all useful strategies for increasing confidence within ourselves. They can make us feel good about being alive in our own skin. What’s probably less useful in developing true self-confidence is when we base how we feel about ourselves on how we “stack up” to others. I call this comparison confidence. Comparison confidence is when you compare yourself to another person and, finding your circumstances/appearance/stature in life to be better than theirs, develop a sense of superiority or false importance. It’s one of the cheapest ways to “prove” to yourself how great of a person you are. It’s also one of the fastest ways to forget to be compassionate toward others. That girl needs to put some clothes on! She’s out here looking like a $2 prostitute. I might not have her body, but at least I know how to cover up and have some respect for myself. My sister is living like a heathen! She needs to accept Jesus into her life. SMH I might not be perfect but at least I’m going to heaven. I would never let my child go out of the house like that! I’m not the best mother, but I’m a much better one than that kid’s mother is. Man that XYZ celebrity on XYZ reality show needs to get her life together! I make much better decisions about my life than she does. I can’t believe my best friend forgave her boyfriend for cheating on her! My own relationship is not the best, but at least my man comes home every night. Hmph. Now that lady knows she needs to lose some weight. She is so fat! I struggle with my own weight loss journey, but hey at least I’m not obese like she is! I can’t believe the women who come on Maury trying to find their baby daddy! My kids have two different fathers, but at least I know who they are. I’m not a whore like they are, thank goodness! These young girls out here are so stupid. They let men run all over them! I’ve had my share of mistakes, but I’ve been there, done that. I’m running circles around these skanks! Not to mention that referring to another woman as a “whore” is a terrible way to make yourself feel superior, comparison confidence can make us focus on other people’s shortcomings while diminishing or dismissing our own. 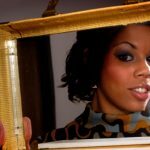 When we compare our own lives to the next woman’s perceived messed-up situation, we can become overly confident about the direction we’re going in our own lives. It can cause us to gloss over the areas in which we need personal development to become better than ourselves, instead of better than someone else. If you want to feel better about yourself, do things that will make you feel better about yourself. Do things that make you happy. Challenge yourself to pursue new, exciting goals for your life. If you want to lift yourself up, then LIFT YOURSELF UP. Not tear someone else down in your comparisons of how much more attractive, virtuous, or smart you are than the other women around you. Reinvest the time you spend being critical of others into taking care of yourself. P.S. Here’s what to do when you forget.